Microsoft’s new investment will provide highly available, scalable, and secure cloud services across Africa with the option of data residency in South Africa JOHANNESBURG, South Africa, May 18, 2017/ -- Today Microsoft (Nasdaq "MSFT" @Microsoft) (www.Microsoft.com) revealed plans to deliver the complete, intelligent Microsoft Cloud for the first time from datacentres located in Africa. This new investment is a major milestone in the company’s mission to empower every person and every organisation on the planet to achieve more, and a recognition of the enormous opportunity for digital transformation in Africa. With over 1.6 million customers at the end of February 2017, Orange Liberia is the leading mobile operator in Liberia in terms of customers MONROVIA, Liberia, May 18, 2017/ -- Orange (www.Orange.com), one of the world’s leading telecommunications operators, announces today the launch of its brand in Liberia. As from today, Cellcom Liberia becomes Orange Liberia. The acquisition of the Liberian operator Cellcom (http://APO.af/jSRR9G) was finalized by Orange, through its subsidiary Orange Côte d’Ivoire, on 6 April 2016, allowing the Group to reinforce its presence in West Africa. Challenger’s product offering includes high-performance tracked tractors and sprayers built by AGCO in North America for the African market JOHANNESBURG, South Africa, May 19, 2017/ -- AGCO (www.AGCOcorp.com), Your Agriculture Company (NYSE:AGCO), a worldwide manufacturer and distributor of agricultural equipment and solutions, is to further develop its Challenger farm machinery business in Africa as part of the Company’s global strategy for this leading brand. Schistosomiasis kills 280,000 people every year in Africa alone BERLIN, Germany, May 18, 2017/ -- #MakingSchistory: A giant worm in the Humboldthafen, Berlin, represents the parasitic worm of schistosomiasis that causes suffering to millions around the world. Its impact is second only to malaria. To bring the devastating disease, schistosomiasis, to the attention of Health Ministers worldwide, the Global Schistosomiasis Alliance (GSA) (www.EliminateSchisto.org) has positioned the #MakingSchistory worm at the Humboldthafen in Berlin, Germany. The 25m inflatable structure represents the parasitic worm of schistosomiasis that causes significant suffering and death. The ‘wormzilla’ reveal coincides with the B20 Health Conference which takes place ahead of the G20 Health Ministers meeting, and will see health organizations from across the world come together to demand action on global health issues, including neglected tropical diseases (NTDs) such as schistosomiasis. Reach for Change Africa is a non-profit organization that runs incubators, accelerators and other customized programs to help local social entrepreneurs develop sustainable organizations that impact the lives of children, youth and women ACCRA, Ghana, May 18, 2017/ -- More than one million African children have benefitted from social enterprise development in Africa in the last five years, according to a new report released by Reach for Change Africa (http://Africa.ReachForChange.org). The non-profit organization, which, this year, is marking its 5th anniversary themed “Accelerating Impact. Driving Change”, also reported that over 300 early-stage social entrepreneurs were supported to develop organizations that are improving the lives of children, youth and women in 7 African countries. South Africa has around 40,000 commercial farms, which together generate around 12% of the country's GDP and the introduction of Fendt recognises this growing market segment BOTHAVILLE, South Africa, May 16, 2017/ -- On 16 May 2017, the official launch of Fendt (www.Fendt.com) machines in Africa will take place at the NAMPO Harvest Day in Bothaville, South Africa. Four tractors from the high-tech brand Fendt will be introduced into the South African market. Rais wa Jamhuri ya Muungano wa Tanzania Dkt. 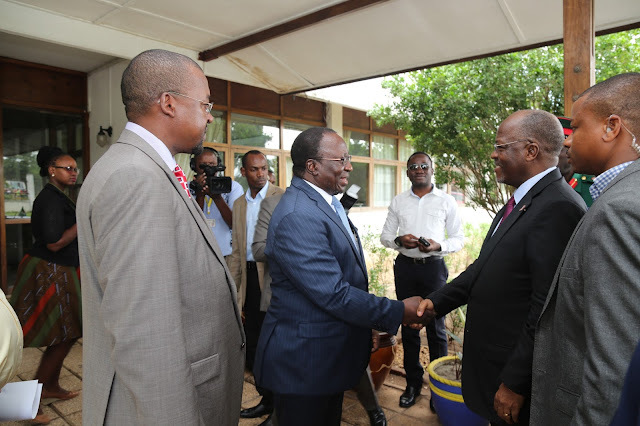 John Pombe magufuli akilakiwa na Waziri wa Habari, Utamaduni, Sanaa na Michezo, Dkt. HarrisonMwakyembe wakati alipowasili Shirika la Utangazaji la Taifa (TBC) kuangalia uendeshaji wake na kuongea na watumishi leo. Kushoto ni Mkurugenzi Mkuu wa TBC Dkt Ayoub Rioba. Rais wa Jamhuri ya Muungano wa Tanzania Dkt. 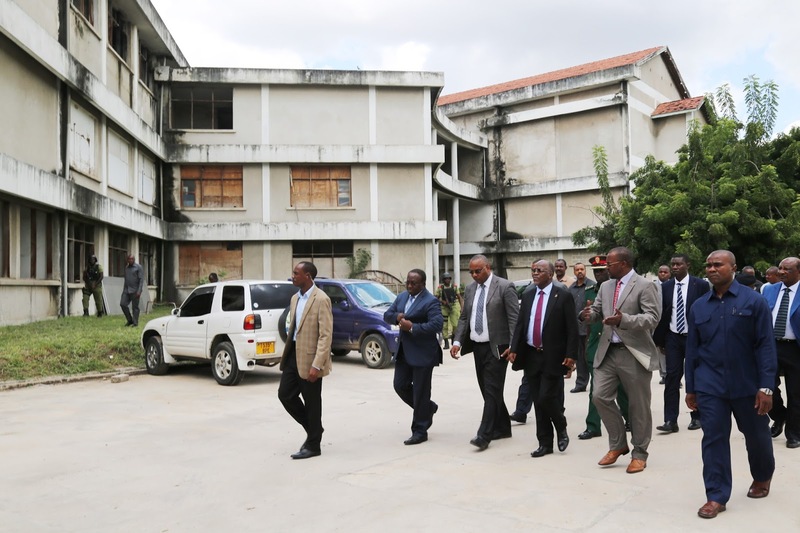 John Pombe magufuli akiwa katika moja ya studio za Televisheni za Shirika la Utangazaji la Taifa (TBC) na mtangazaji Bi. Asha Haji alipotembelea leo kuangalia uendeshaji wake na kuongea na watumishi. Mkazi wa kijiji cha Msia wilayani Sumbawanga mkoani Rukwa, Patrick Kipesa (39) amejinyonga kwa kutumia kamba ya katani mara baada ya kuumua mkewe kwa kumkata kata na shoka sehemu mbalimbali za mwili wake. Kaimu Kamanda wa Polisi mkoa wa Rukwa, Polycarp Urio alisema jana kuwa tukio hilo lilitokea mei 14 nyakati za saa 1:30 asubuhi huko katika kijiji cha Msia kata ya Milepa, tarafa ya Mtowisa wilaya Sumbawanga. Alimtaja aliyeuawa kuwa ni Theresia Selemani (49) mkazi wa kijiji cha Msia aliuawa kwa kukatwa katwa na shoka maeneo ya kichwani na shingoni na mume wake huyo. Aidha, baada ya tukio hilo mtuhumiwa naye alijiua kwa kujinyonga kwa kutumia kamba ya katani akiwa sebuleni kwake na kufariki papo hapo. Chanzo cha kufanya mauaji hayo na yeye kujiua ni wivu wa mapenzi baada ya mtuhumiwa kuhisi kuwa mkewe ana mahusiano wa kimapenzi na mwanaume mwingine, ambapo alimvizia marehemu na kumkata na shoka shingoni na kichwani.